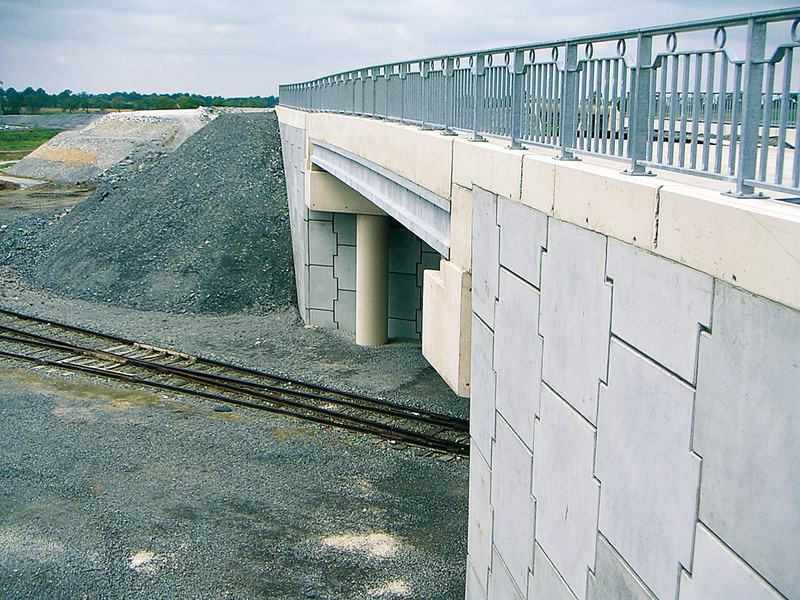 The first Ductal® bridge in France was built over a railway line in Saint-Pierre-la-Cour. With a span of 19 m and a width of 12.6 m, it supports a continuous 7.6 m reinforced concrete road, pavement and a cycle lane. Right from the design stage, the objective was to fully utilize Ductal®'s superior performances. 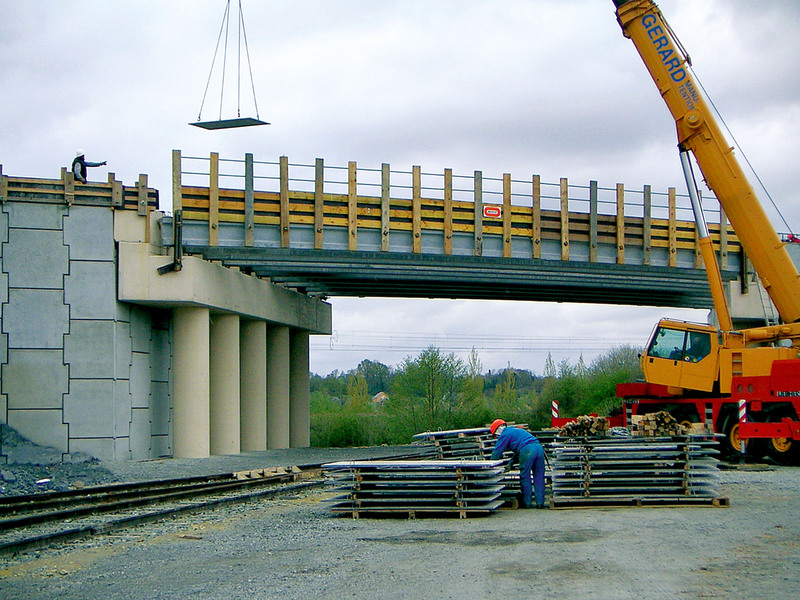 This project achieved a significant savings in materials, due to its lightweight structure with slim girders. 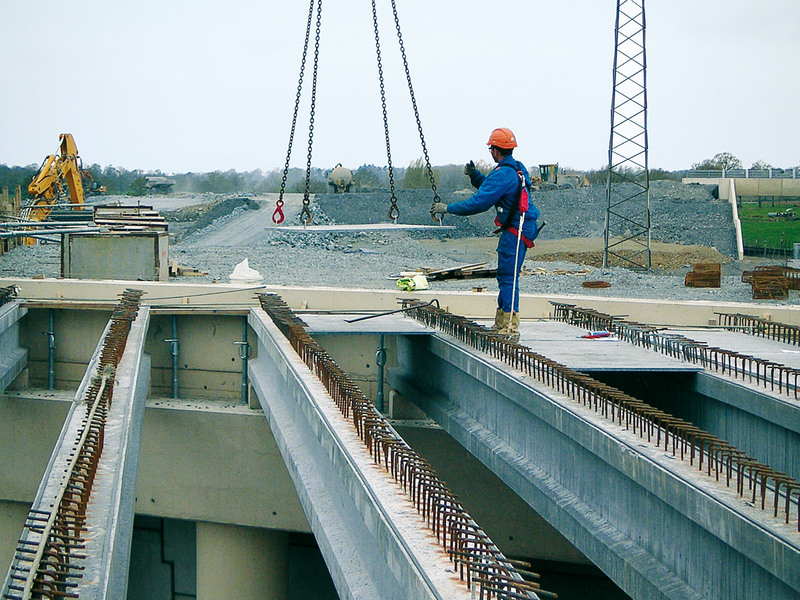 The 10 girders are pre-stressed with pre-tensioned strands and have no secondary rebar or shear stirrups, a technique that makes it possible to construct a bridge approximately half the weight of a conventional concrete solution. 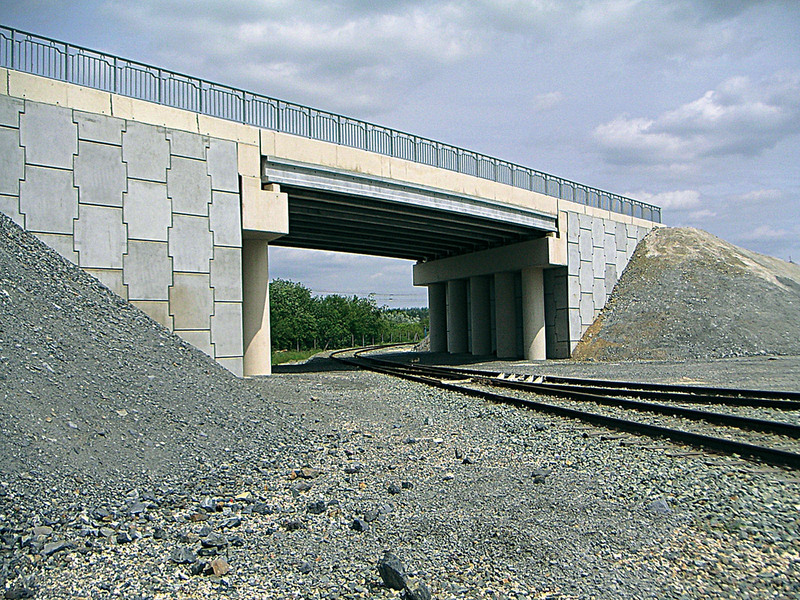 A Ductal® leave-in-place form protects the underside of the concrete deck and reinforcements against damage. The Saint-Pierre La Cour project required just one day for casting and one day to bond the concrete slab in place. Overall, this solution proved to be extremely durable (with reduced maintenance requirements and budgets) and more economical than a conventional solution.